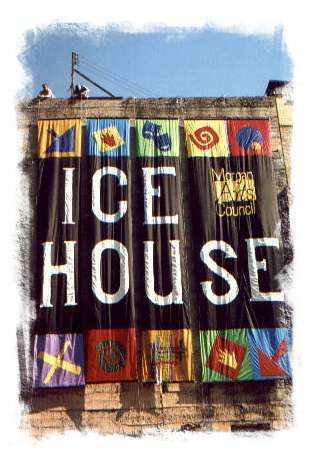 The Ice House ~~ "A Cool Place for Hot Art"
For nearly 20 years, the Morgan Arts Council was a gypsy organization, "getting art out there" wherever there was space. 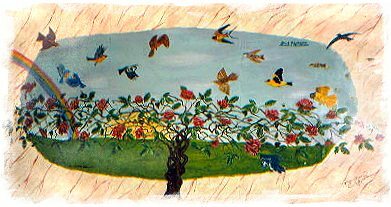 That changed in June 1996 when U.S. Borax gifted MAC with a 40,000 square foot former storage building in the center of Berkeley Springs. Built circa 1910 to store apples, the four-floor yellow brick building had other uses through the 20th century including a furniture store, health club and teen center. Renovation is ongoing. Nearly $900,000 has been invested in space renovation, upgrading utilities and providing universal access. The first floor now has an Event Space, two galleries, retail art shop, a wet classroom, break room and MAC office. The second floor houses the Digital Media Center for Community Engagement, movement studio, two additional galleries, wet classroom and community meeting space. Construction has been funded by the West Virginia Commission on the Arts, HUD, Benedum Foundation grants as well as individual and business donations. Donors are immortalized in the Legacy Vine painting by Maryelen Willinghan that hangs in the Mercer Street Lobby and through naming opportunities for rooms and space at the Ice House. The Ice House Development Fund has been established to raise funds for continued renovation. Operation of the Ice House is to be self-sustaining. Existing space is rented for community activities as well as being used by MAC. 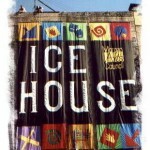 Literally thousands of people have enjoyed, bought, practiced and made art in the Ice House since its acquisition. The future promises even more. The Legacy Vine in the Petersen Lobby by Maryelen Willinghan.